Lightbend Console enables you to monitor applications running on Kubernetes. The Console provides visibility for KPIs, reactive metrics, monitors and alerting, and includes a large selection of ready-to-use dashboards. Lightbend Console delivers real value during development, testing, and staging as well as during production. 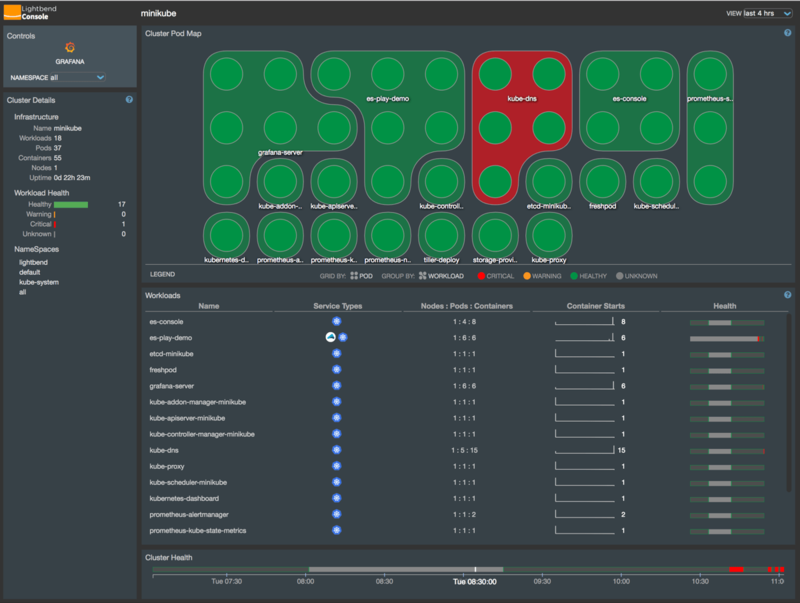 The Console works with Lightbend Orchestration to help you manage the complexities of distributed applications and focus on building core business value. The following diagram shows the open source and commercial pieces that make up Lightbend Platform. Deploying distributed applications to achieve the Reactive goals of responsiveness, resilience, and elasticity involves use of complex technologies such as tools for packaging, orchestration, and virtualization. During development, the ability to test system components in a simulated environment is a key to success. Lightbend Console allows developers to verify, observe, and fine-tune applications in the development environment. Once deployed, the ability to visualize the running pieces and monitor their health is critical to maintain the required quality of service. In a production system, Lightbend Console provides the same visibility and monitoring for those managing operations. Traditional simple monitors, like thresholds, can’t keep up with the scaling demands of a truly elastic system. Typically tools that provide these benefits are cumbersome and tricky to set up. 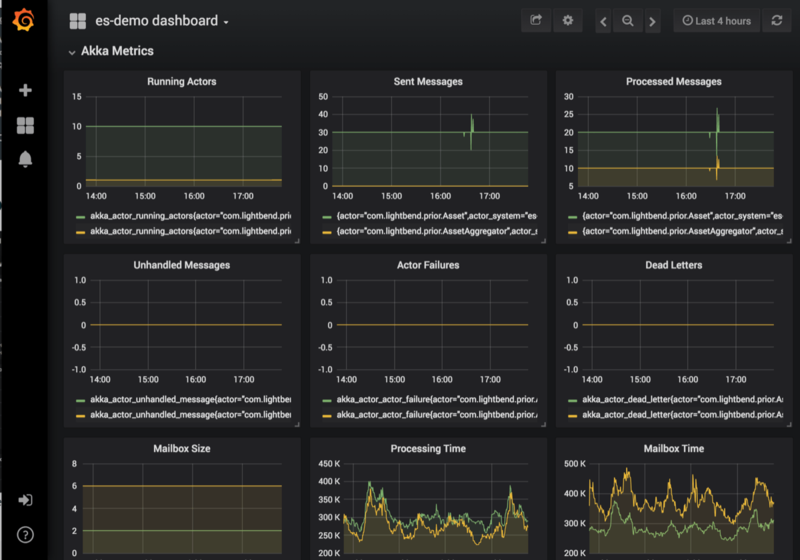 Lightbend console is effectively a monitoring stack “in a box” that offers easy access to application metrics throughout the lifecycle—from development through production. 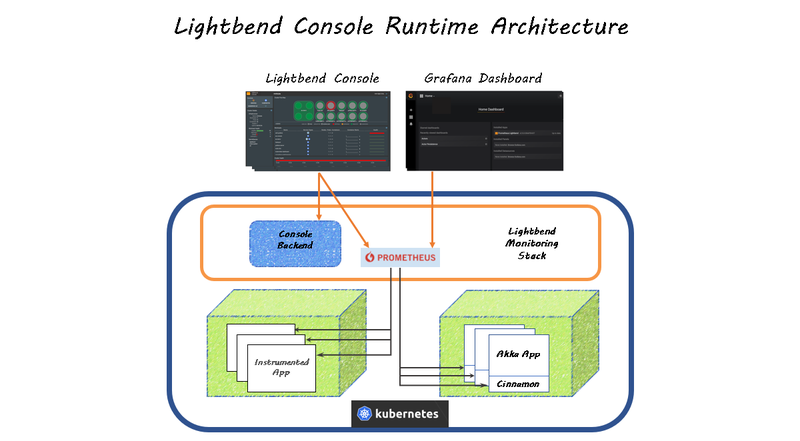 Lightbend Console installs into Kubernetes as a Helm chart. Note that some organizations do not allow Tiller, the Helm server, to be installed because of security concerns. If this is true in your case, you can install the Console without Tiller. The Lightbend Console does not provide login functionality. The same Kubernetes mechanisms for access and permission that apply to the cluster also apply to the Console. See the Kubernetes documentation for more information. The Kubernetes documentation offers a Tutorial that helps you learn the basics in an interactive environment. The Console User Guide also lists some key terms as a reminder. The following topics describe Lightbend Console. See http://developer.lightbend.com/docs/ for links to all documentation for Lightbend open source and commercial offerings.